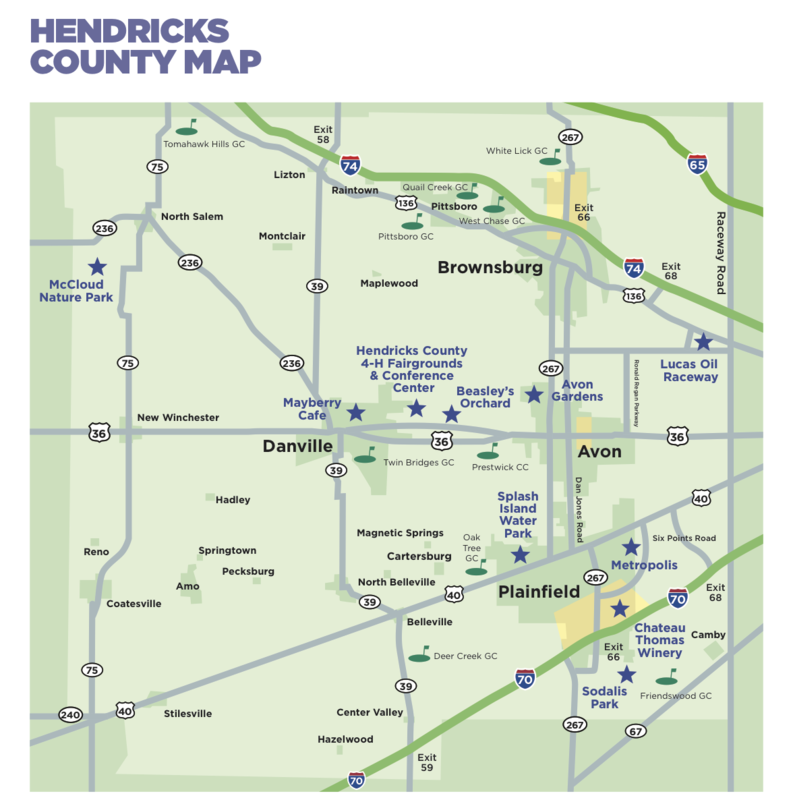 Hendricks County, Indiana, is a flourishing destination that offers a wide variety of activities and attractions for all ages and interests. It&apos;s amazing how much the county has changed over the course of its nearly 200 years of existence! Here are some things that you may or may not know about Hendricks County&apos;s past and present. Hendricks County is not much younger than the state of Indiana itself. Indiana became the 19th state in the union on Dec. 11, 1816, and on Dec. 20, 1823, we became the 51st county to be organized within the state. Hendricks County is named for William Hendricks, who was serving as the third governor of Indiana at the time of the county&apos;s formation. Our county is one-of-a-kind as the only Hendricks County in the country. Fast-forward nearly 200 years, and Hendricks County definitely looks different now. Adjoining Indianapolis directly to the west, Hendricks County has roughly 163,685 residents. We are the third-fastest growing county in Indiana. Most of our population is concentrated in the eastern half of the county, where our three largest towns -- Plainfield, Brownsburg and Avon -- are located. The western half of the county is still predominantly rural, agricultural land. Our county seat, Danville, is located in the center of Hendricks County and is a unique blend of rural life and suburbia, history and modernity, tranquility and culture. Established in 1839, Plainfield currently holds the title of Hendricks County&apos;s largest town with about 33,000 residents. Plainfield&apos;s settlement was heavily influenced by Quakers, and the Plainfield Friends Meeting still plays a major role in the community, including hosting the annual Quaker Day Festival. Plainfield is accessible by both I-70 and the National Road -- also known as U.S. 40 -- and it&apos;s right next door to the Indianapolis International Airport and boasts the county&apos;s largest cluster of hotels. Visitors to Plainfield will enjoy the large outdoor shopping mall called The Shops at Perry Crossing, the historic Oasis Diner, the popular Chateau Thomas Winery and many other locally-owned shops and establishments. 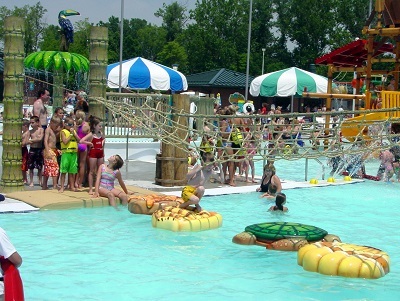 Plainfield is also renowned for its parks system that includes Hummel Park, Swinford Park, Friendship Gardens (a popular site for weddings), Franklin Park, Splash Island Family Waterpark (indoor and outdoor), the Richard A. Carlucci Recreation and Aquatic Center and a fantastic trail system that winds throughout the town. Additionally, the gorgeous Sodalis Nature Park sits in the southeast corner of the town. Brownsburg was established in 1848 and is currently Hendricks County&apos;s second-largest town in the northeast corner of the county with roughly 26,000 residents. I-74 runs through Brownsburg, as does U.S. 136, and the town has the county&apos;s second-largest cluster of hotels. When I think of Brownsburg, I think of auto racing. Lucas Oil Raceway is in Brownsburg, and its drag strip and paved oval track host a slew of racing events including the Chevrolet Performance U.S. Nationals. 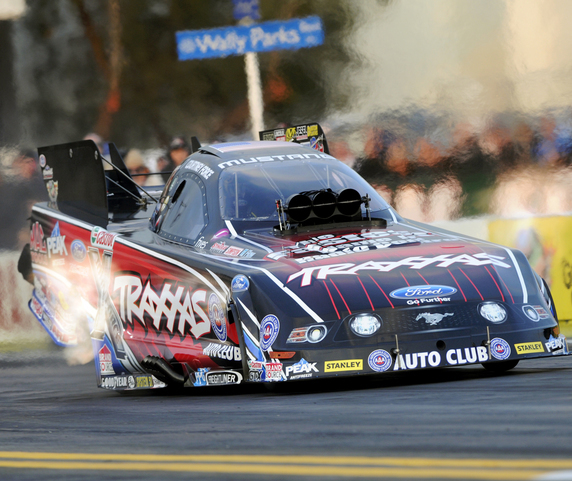 Additionally, the area around Northfield Drive in Brownsburg is lined with headquarters and garages of all sorts of racing teams, including that of John Force Racing. While the first settlement went up around 1830, Avon wasn&apos;t officially incorporated as a town until 1995. It is one of the fastest-growing communities within Hendricks County, increasing its population more than eight-fold over the past 20 years. Today, around 17,500 people call Avon home in the eastern section of the county. U.S. 36 runs through the center of Avon, connecting it to Indianapolis. Visitors to Avon will find just about every nationally-recognized store and restaurant that can be imagined, as well as locally-owned gems such as Old Bob&apos;s, Avon Gardens and the incredibly popular Opa! Greek restaurant. Founded in 1824 and incorporated in 1835, Danville and its approximately 9,800 residents serve as the Hendricks County seat, situated in the center of the county. U.S. 36 runs right through Danville. People who love art, music, food and community events will love Danville. It is home to nationally recognized restaurants -- The Mayberry Cafe and Bread Basket Cafe & Bakery. The courthouse square has also become a quaint shopping destination boasting places like the Gallery on the Square and Seize the Night Designs. Danville also hosts the annual Hendricks County 4-H Fair, Mayberry in the Midwest festival, First Friday Cruise-Ins, Summer Sounds on the Square, the Winterland Light Show, Fair on the Square and much more. Visitors will have no problem finding something to do in Danville. The northwest corner of Hendricks County is home to the towns of Pittsboro, Lizton and North Salem, and while these towns are small, there are many reasons to explore this portion of the county. Pittsboro is the second-fastest growing town in Hendricks County and is famous for being the childhood home of NASCAR driver Jeff Gordon and U.S. Olympic gymnast Bridget Sloan. Founded in 1834, Pittsboro is home to the One Room Schoolhouse that was built in 1883 and where every day is set in 1892. Lizton was established in 1851 and like Hendricks County is the only Lizton in the country. 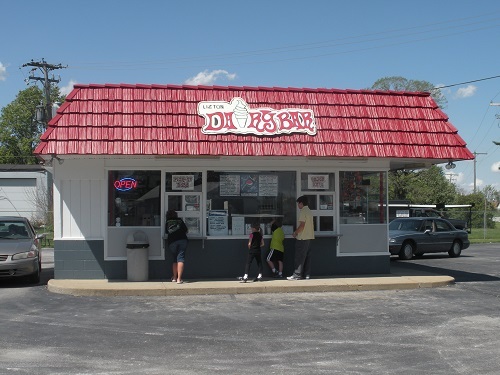 The Lizton Dairy Bar is a must-visit during the summer months. 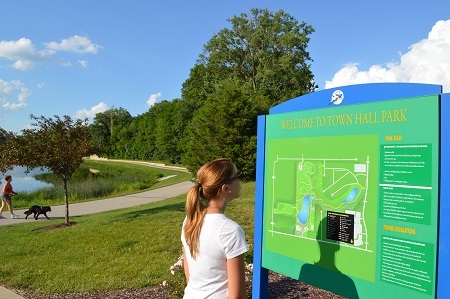 Established in 1835 and incorporated as a town in 1899, North Salem is home to two of my absolute favorite spots in Hendricks County: Perillo&apos;s Pizzeria and McCloud Nature Park. In the southwest corner of Hendricks County is the Mill Creek area, which includes the towns of Amo, Clayton, Coatesville and Stilesville. The Vandalia Trail begins (or ends, depending on your perspective) in Amo and is a gorgeous 12.3-mile trail for hikers, bikers and horseback riders that stretches to Greencastle. The town is also home to Amo Pizza Shop, which is a favorite among locals. A little to the east of Amo is Clayton, where kids like to play in Lambert Park and where locals love to eat at the Clayton Cafe. In 1948, the town of Coatesville, which hugs the western border of Hendricks County, was obliterated by a devastating tornado. 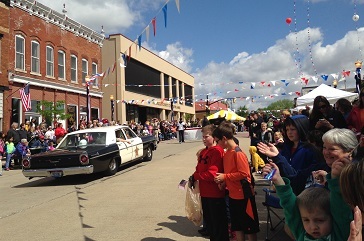 Today, however, this quaint town is home to Cruisin&apos; in Coatesville every summer, among other events and attractions. The Vandalia Trail also runs through Coatesville. 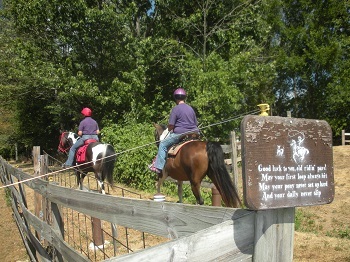 Each area of Hendricks County has its own unique personality, sites, flavor and activities. Stay tuned to our blog to learn even more about Hendricks County and why you&apos;ll want to visit over and over again to experience everything we have to offer!